The Buffalo State chapter of the Best Buddies program was named Outstanding College Chapter of the Year during the 23rd annual Best Buddies International Leadership Conference held July 20–23 at Indiana University. 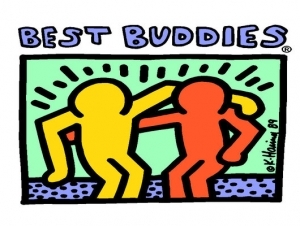 A non-profit organization with more than 1,500 chapters in middle schools, high schools, and colleges throughout the United States and 49 other countries, Best Buddies creates opportunities for one-to-one friendships, integrated employment, and leadership development for people with intellectual and development disabilities (IDD). Buffalo State’s chapter was selected from more than 260 Best Buddies college programs and 15 college outstanding chapter applicants. "It is wonderful to see our students receive well-deserved recognition for the respectful and dignified ways they continue to make a positive impact in the lives of others," said Kevin Miller, professor and chair of the Exceptional Education Department. "Being honored as the Outstanding College Chapter provides testimony as to the quality and character of the students we have at Buffalo State." Best Buddies operates under the leadership of a student-run executive board. Last year, a new slate of board members took office: Kelly Farrell, president; Jonathan Pollino and Samantha Kalnitz, co-vice-presidents; Rebecca Horne, treasurer; and Patrick McKenna and Michelle Sommerstein, co-buddy directors. "Our executive board has been really phenomenal this year," said Lisa Rafferty, assistant professor of exception education. Rafferty serves as Best Buddies faculty adviser along with chapter founder Lynne Sommerstein, a lecturer in the exception education program. "They have been great about raising awareness of people with disabilities, not just on campus but also in the larger community." Sommerstein credits the effectiveness of the executive board to the members’ enthusiasm and Farrell’s dynamic leadership. "Kelly is what has really made a difference in the chapter this year," she said. During the 2011–2012 academic year, the Buffalo State chapter paired more than 25 individuals with IDD, most of whom are college-age, with undergraduates across a wide range of majors. 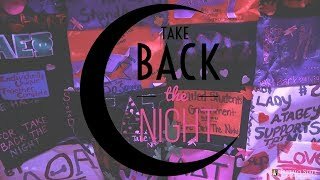 Participants are required to make a friendship commitment for one year, and this entails attending meetings once a month on campus and being in contact at least once a week. Additionally, Best Buddies sponsors monthly activities, such as trips to the zoo, the movies, and the bowling alley. "Our students absolutely love it," Rafferty said. "Being involved with Best Buddies makes the world seem a whole lot smaller." In March, Best Buddies partnered with the Student Council for Exceptional Children on a campus-wide initiative, "Spread the Word to End the Word," in which hundreds of Buffalo State students, faculty, and staff signed a banner and online pledge to not use the word "retard." They also traveled to Albany in April to participate in the New York State (Capital Region) Friendship Walk. Sommerstein began the Buffalo State chapter in 2001 after her daughter, who has disabilities, participated in a Best Buddies program in Vermont. "It was such a positive experience for her. I wanted people with disabilities in our community to benefit from this program, too," Sommerstein said. "While it is connecting people in an artificial way in the beginning, the program helps (young people on) both sides feel comfortable with each other. It also brings diversity to campus." For some students, participating in Best Buddies has been so life-changing that it inspired them to switch majors and prepare for a career as a special-education teacher, Rafferty said. However, she noted, the experience translates to a number of careers, not just special education. "No matter what, we all work with people from diverse backgrounds," she said. The take-home message, Rafferty emphasized, is that we are all people first. "We just have different abilities."